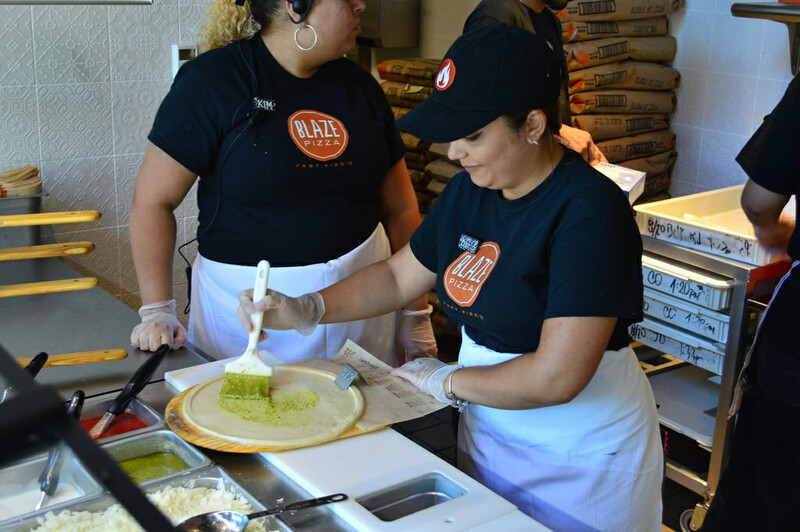 The newest kid on the Disney Springs block is quickly becoming a guest favorite. The magical love child of a Chipotle and Universal’s Red Oven Pizza Bakery, Blaze Fast-Fire’d Pizza allows you to choose every aspect on your pizza creation (crust type, sauce, cheese, and toppings) all for one price. 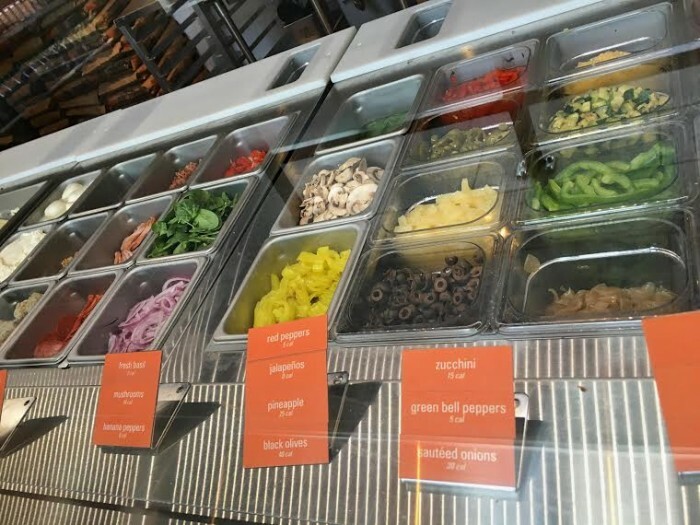 You walk with your pizza down the line, letting each station attendant know exactly how you want your pizza. 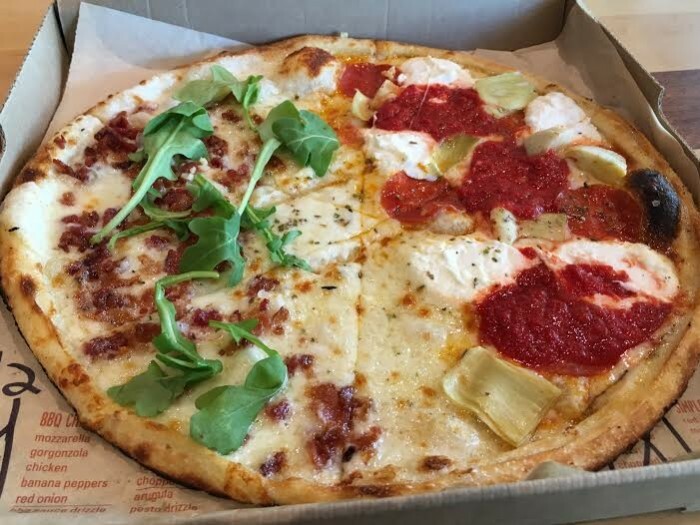 Want half your pizza to have the white creamy garlic sauce and the other to have the spicy red sauce? You can do it. With 16 veggie types and 6 meats, customers haven’t had this much flexibility in choice since First CitiWide Change Bank. The pies then go into the oven, and three minutes later, BOOM, your pizza is ready. 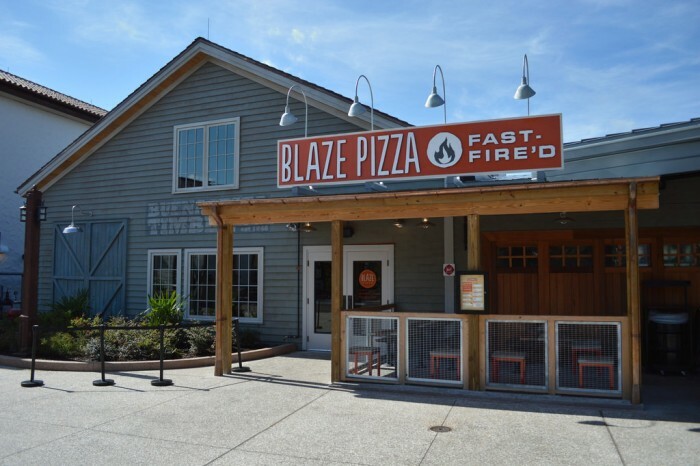 As many of you know, we are rather picky about our Disney pizza, but Blaze is already right up there with the best pies on property joining Via Napoli, Splitsville, and Wolfgang Puck. There is plenty of seating both inside and outside at Blaze, with the latter being waterside. 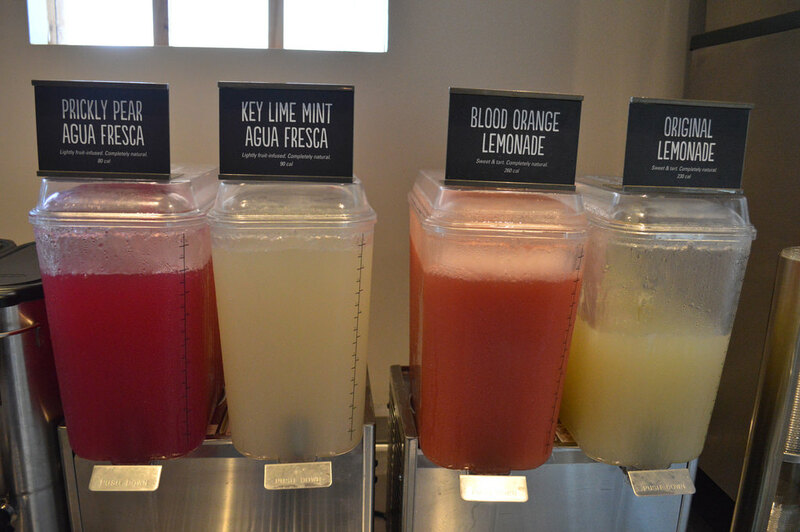 We’ve been impressed by how many drinks Blaze carries, including bottles of craft beer and freshly made agua frescas (our best bet, the Prickly Pear version. Wow!) 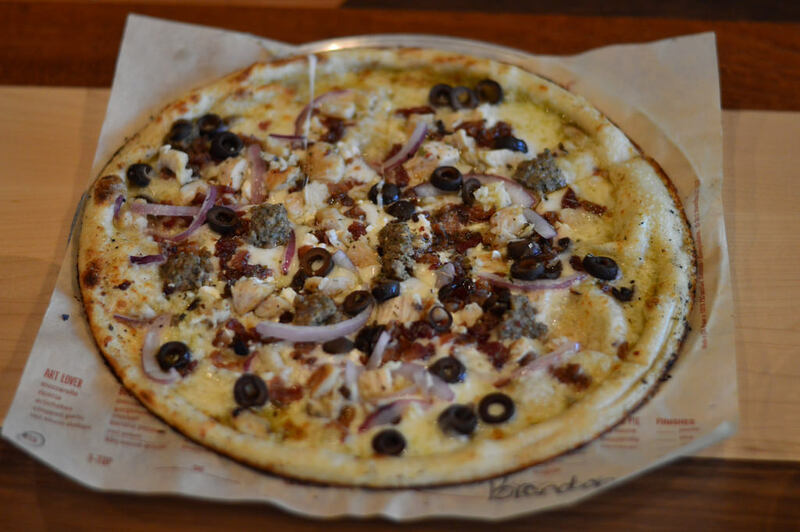 After going several times, the quality of the pizzas is off the charts. Personally I was skeptical of a pizza cooking in three minutes, but it works. I was also floored by the fact that Blaze Pizza offers vegan-friendly pizzas, including vegan cheese. Lastly, one of the little things that Blaze just gets perfectly right is that it has pizza boxes and other to-go containers easily available for guests who want to take the rest of their meal with them. You don’t have to ask a CM for help, as the dare-I-say cute boxes are sitting right there with the napkins and utensils. 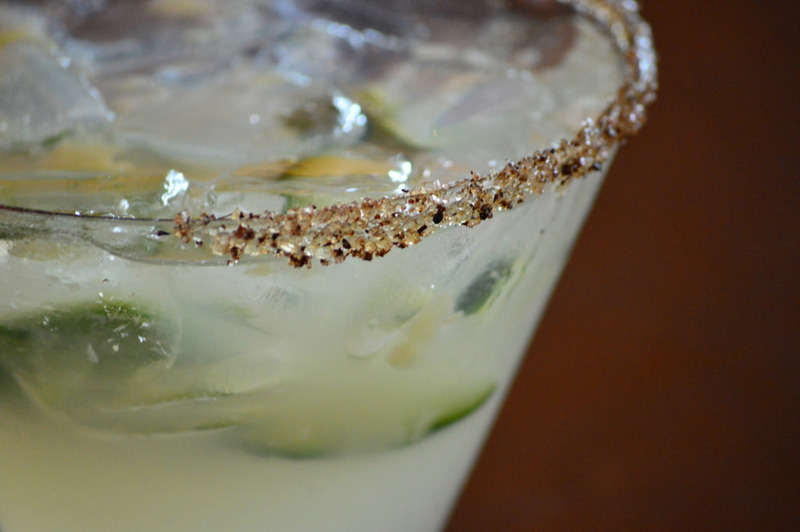 For a long time, the closest thing to a Mexican restaurant at Disney Springs was the Dockside Margarita Bar across from the Marketplace Co-Op. 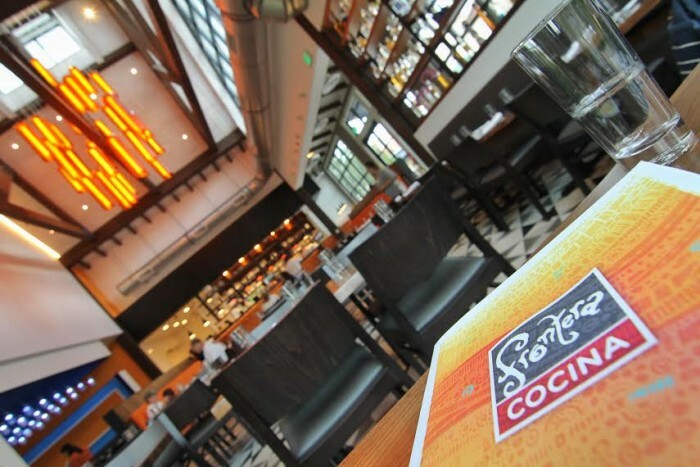 Thankfully, this summer, Frontera Cocina opened featuring celebrity chef Rick Bayless’ take on authentic Mexican cuisine. 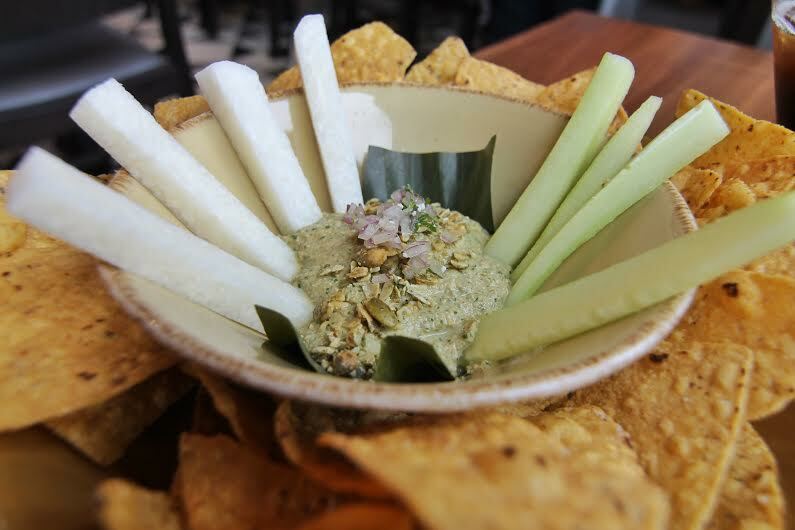 Frontera Cocina certainly has the most artful dishes of any restaurant at Disney Springs, as even the appetizers look like a lot of TLC went into creating them. 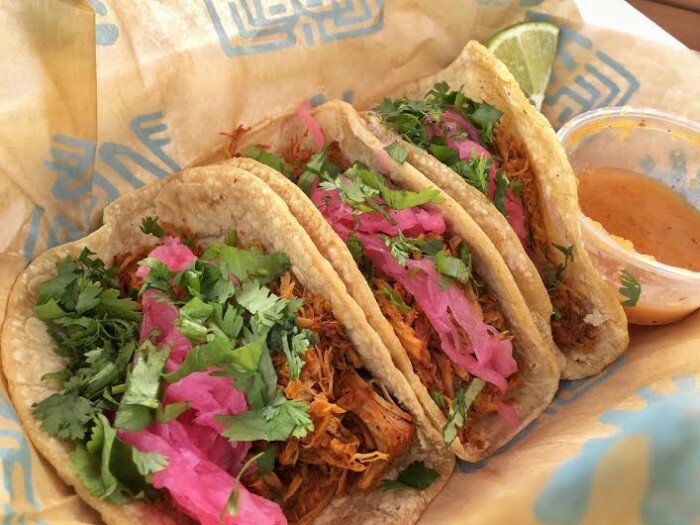 Whenever I eat Mexican food, my first priority is guacamole; whether at Universal’s Antojitos, EPCOT’s La Cantina de San Angel, or even Tijuana Flats. I’m happy to report that the guacamole at Frontera Cocina is among the best I’ve had in Orlando. The main menu is terrific, but the drink menu is truly amazing. 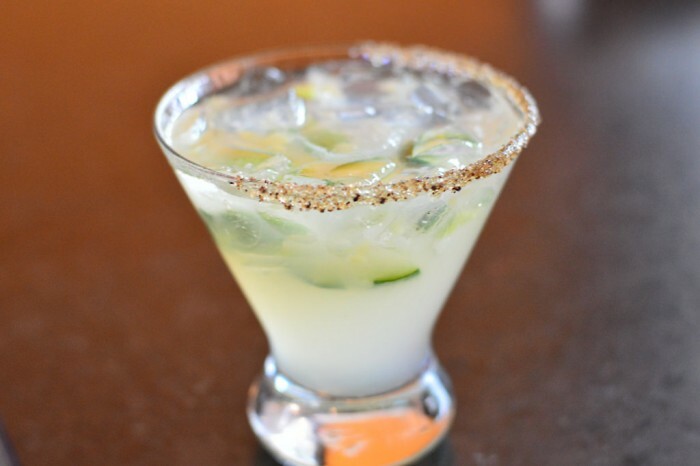 When Frontera Cocina first opened, one of the things which quickly drew my attention was the use of black ant salt used on the rim of some of the drinks. As a person who has written an extreme eats article or two, the idea of a salt made with ants caught my attention. The story of the black ant salt ties into the overall theme of the restaurant as it is “a nod to the pre-colonial era of Mexico, when insects were the primary source of nutritional protein for non-elites.” Because the ants are candied, they actually end up tasting pretty good (but don’t tell PeTA that). Special nod to the service at Frontera Cocina which has been above and beyond every time we’ve gone, including making several different vegan friendly meals. 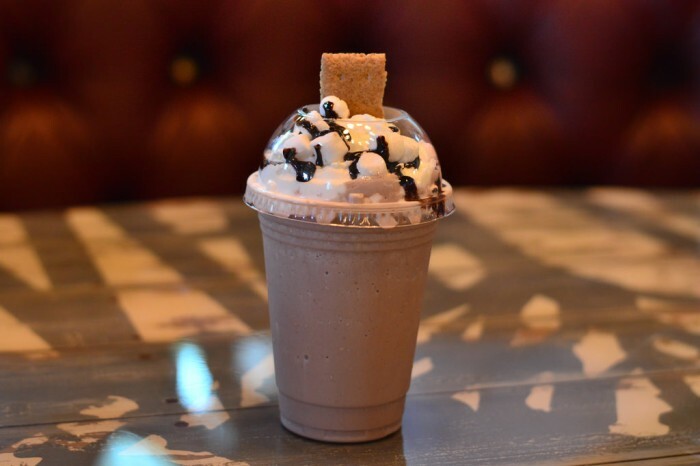 D-Luxe Burger is just what the doctor ordered (not the one that checks your cholesterol, obvs), a great counter service restaurant at Disney Springs that offers burgers, fries, and shakes. It doesn’t need the fancy schmancy huge menus some of the other restaurants offer; instead it strips down its offerings (similar to Blaze) and just does them right. 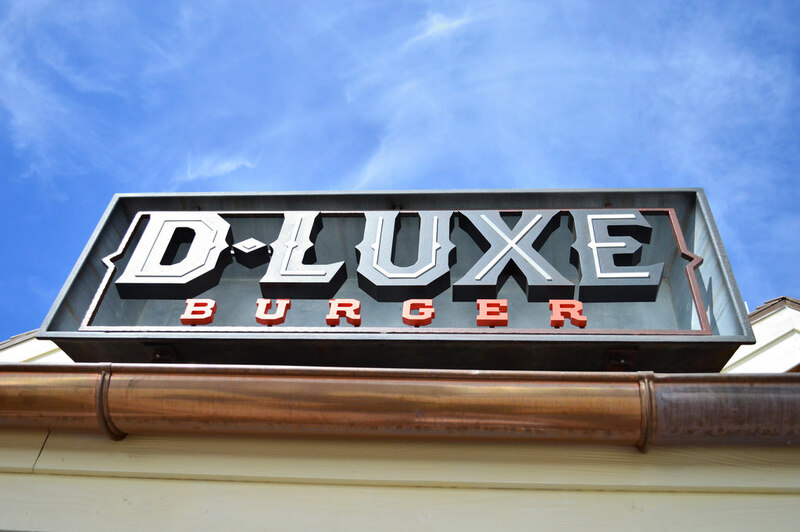 D-Luxe offers six (what a great number) different burgers, including a chicken burger and a veggie burger. The hamburger buns are made in-house and are wonderful. There are also gluten-free buns available, as well as lettuce wraps for anyone in your party who’s crazy. While the burgers do not come with fries, I highly recommend an order along with some dipping sauces. Six (there’s that number again) varieties are available with your fries. These include: 3 Mustard and Honey, Buffalo Blue Cheese, Curry Ketchup, Garlic Ranch, Horseradish, and Chipotle Mayo. 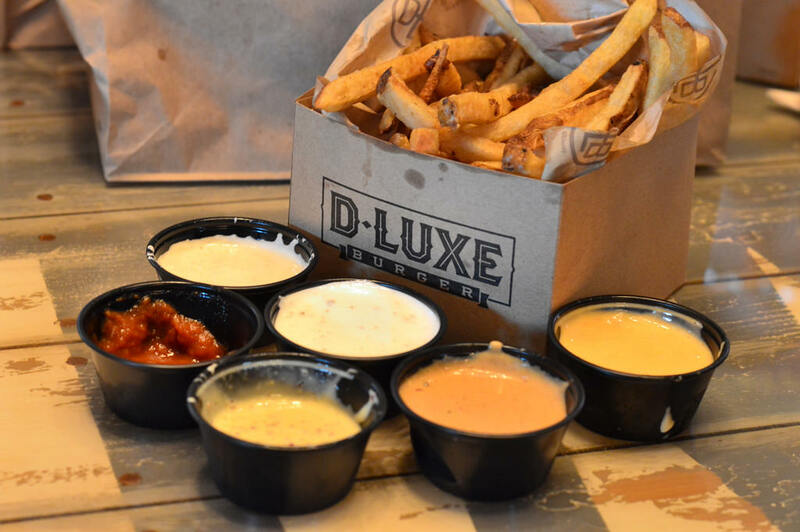 We here at the SATURDAY SIX HQ love dipping sauces and D-Luxe has us covered in spades. 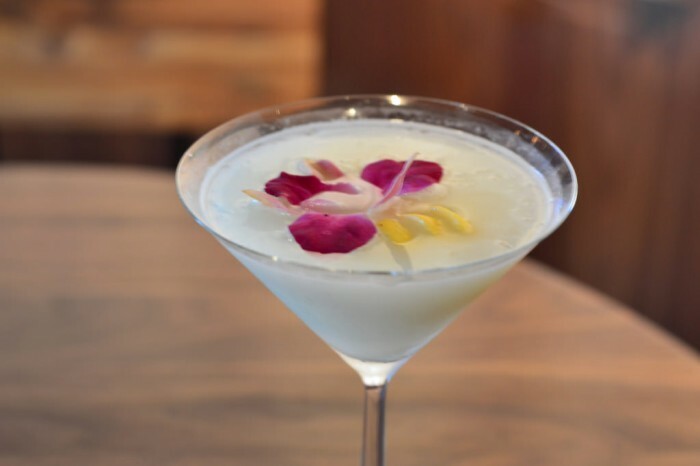 Besides offering draft beer (which Blaze does not), D-Luxe also has alcoholic sodas along with milkshakes you can add alcohol to. The milkshakes, even without alcohol, are top notch. The S’mores, Cake, and Salted Carmel versions are among the best shakes at Disney. The “dessert” option at D-Luxe is completely bonkers with the Red Velvet Burger Macaron. 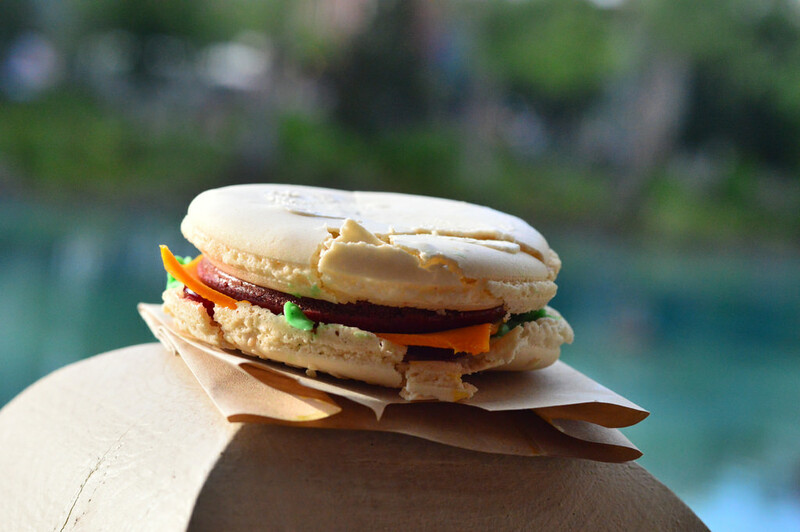 Think of it like the Macaron sandwiches you can get in EPCOT, except it looks like a burger. Million dollar concept, and the Macaron looks awesome. Unfortunately the taste is just not up there with everything else on the menu (which is superb). However if you’re a local and have family in town, or are someone who comes to Disney every couple years, it may be worth trying out because of how fun it looks. 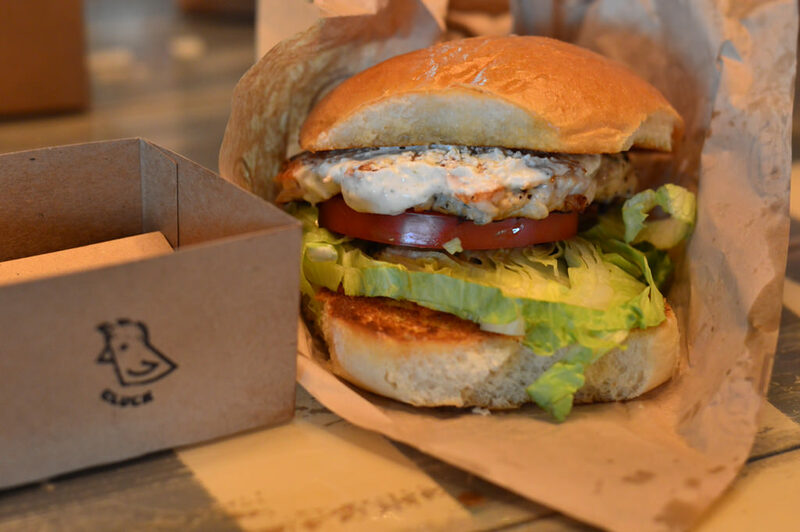 While D-Luxe Burger filled the burger joint void in Disney Springs, Chef Art Smith’s Homecoming answers the prayers of guests who wanted a great chicken place. 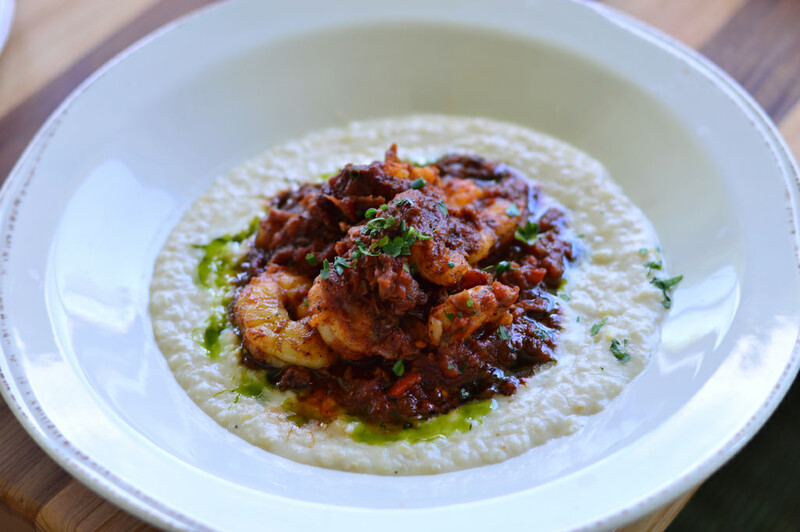 The theme of the restaurant is Southern classic, and the heavily hyped menu delivers in a major way. 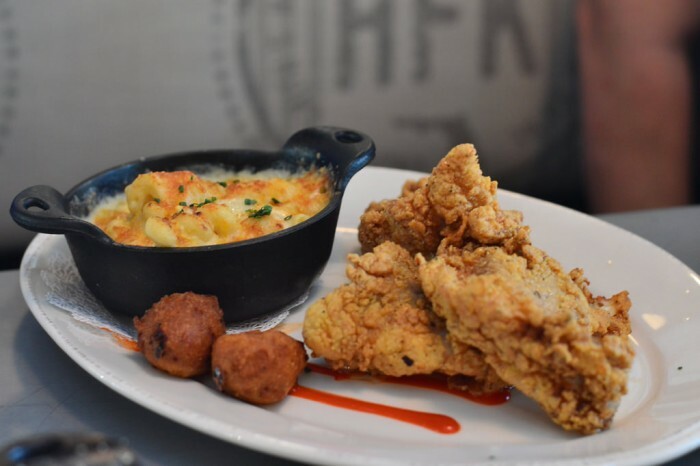 We could rave about the cheddar cheese drop biscuits, Church Lady deviled eggs, or Momma’s mac and cheese. 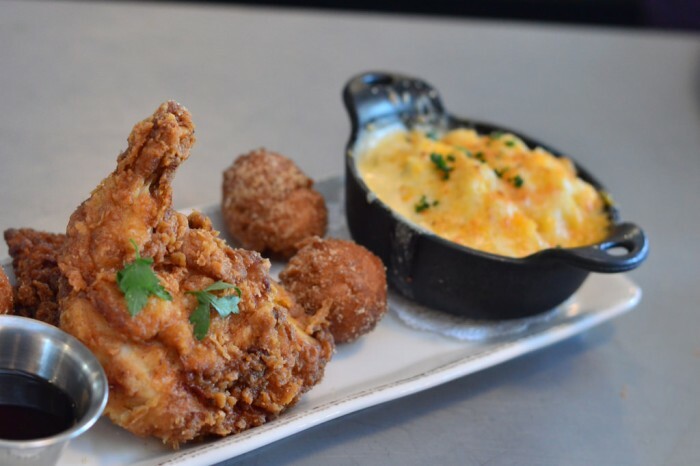 We could tell you that the fried chicken sandwich, Addie Mae’s chicken & dumpling soup, and the chicken & doughnuts entrees are among the best we’ve had at any Disney restaurant. The Hamilton Sandwich, Bunch of Puppies (pimento cheese hushpuppies), and fried catfish each had us feeling like we couldn’t wait to come back and try again. There is a gigantic drink menu and it’s almost impossible to find a drink you can’t highly recommend. 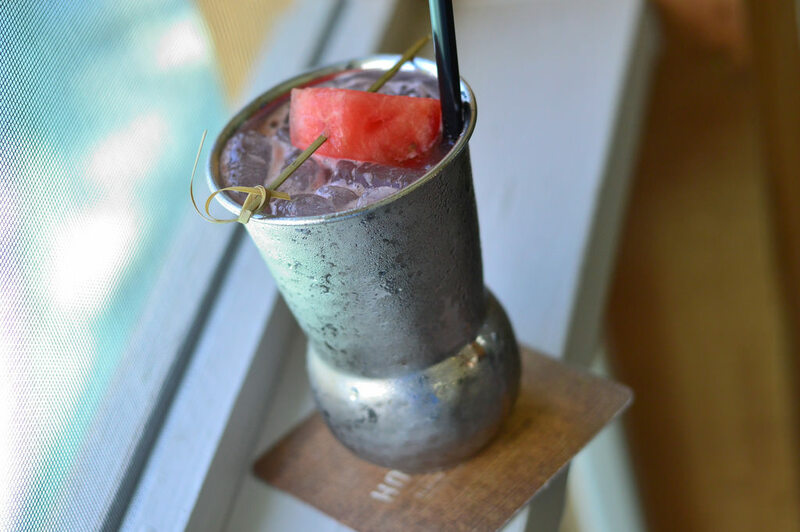 We’ve loved the Fig & Berries, Cucumber Cooler, Moonshine Mash, Sweet Tea Shine, and more. 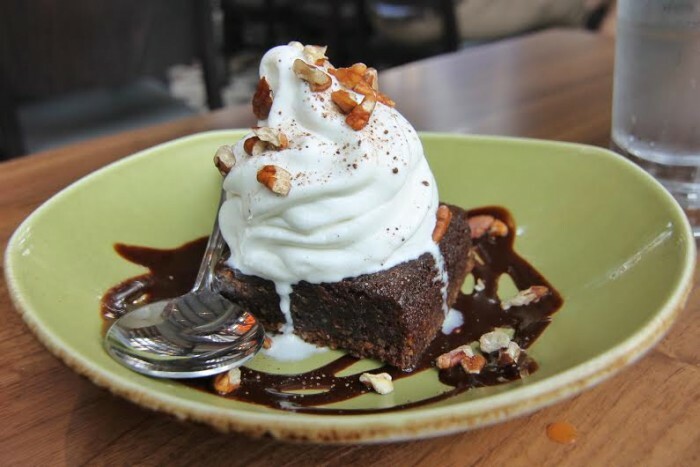 It is almost impossible to save room for dessert with all the great foods before it, but the Hummingbird Cake and Chef Art Smith’s signature Shine Cake are the perfect cap to any meal. 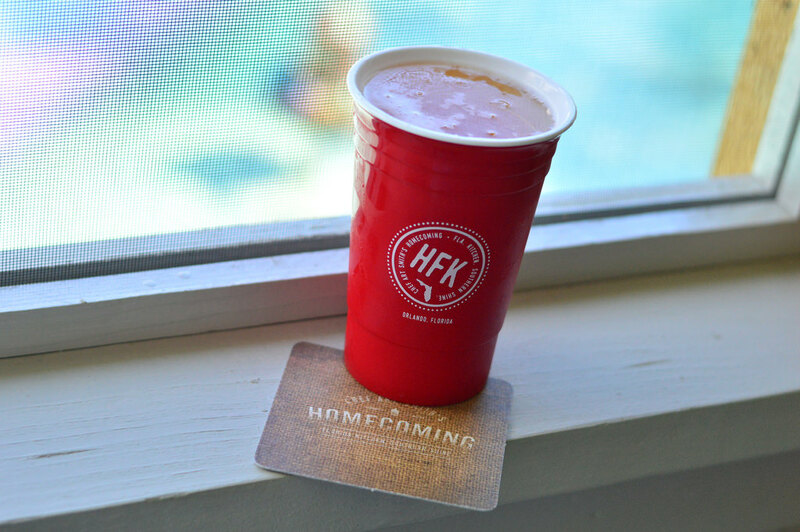 Homecoming may not have the glitz or glamour of some other venues, but it brings its A-game when it comes to food and drinks. The outdoor screened porch at Homecoming is also one of the most pleasant places to enjoy a meal at WDW, as you get to enjoy the serene “springs” and people watch as you eat. 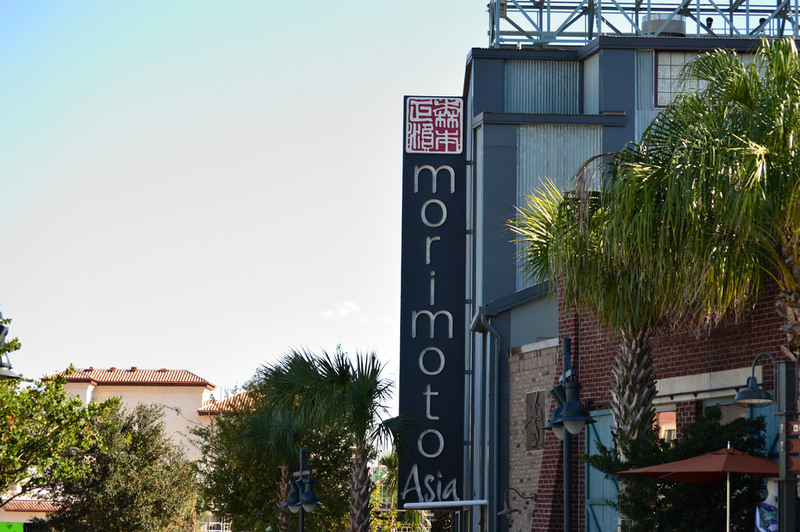 Japanese Iron Chef Masaharu Morimoto was the first celebrity chef to have a restaurant open in Disney Springs, and his Morimoto Asia continues to be one of the more memorable dining experiences at Walt Disney World. 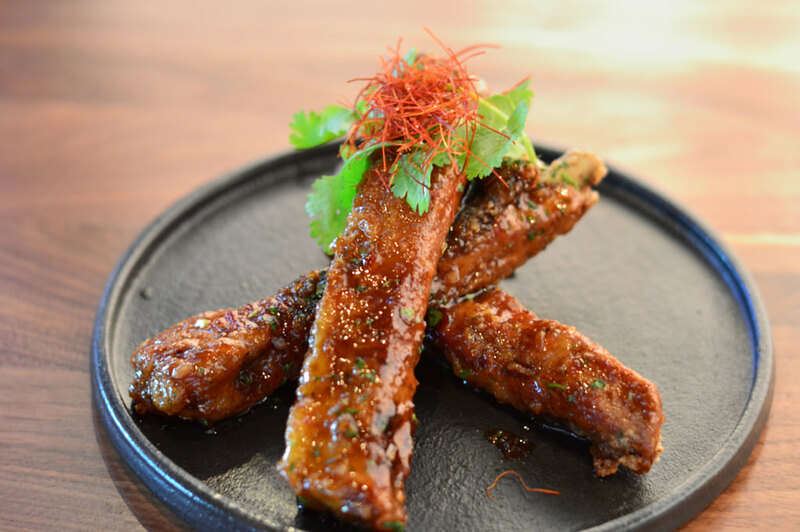 With an ultra-hip decor and incredible menu, Morimoto Asia truly shines in its signature items: the Morimoto Peking Duck and the Morimoto Spare Ribs. Under normal circumstances, I would scoff at a price of $14 for three ribs – a price that almost makes the 3 wings for $9 at Tiffins seem like a value – but these are the best ribs I’ve had anywhere and look forward to having them again like many people anticipate Canada’s cheddar cheese soup at EPCOT’s Food & Wine. The peking duck is marinated for 24 hours, and while it is served already cut up, the taste is so out of this world that you don’t mind not getting A Christmas Story-like duck experience. Earlier this summer, the restaurant opened Morimoto Street Food, a counter service option that offers items such as sushi, rice bowls, bao tacos, and a smaller version of the mouth-watering ribs. There is a first come/first served sushi bar along with several regular bars allowing you the opportunity to just stop in at any time without an ADR. We highly recommend the second floor bar, which has an incredible view of Disney Springs, and just ordering appetizers and drinks. 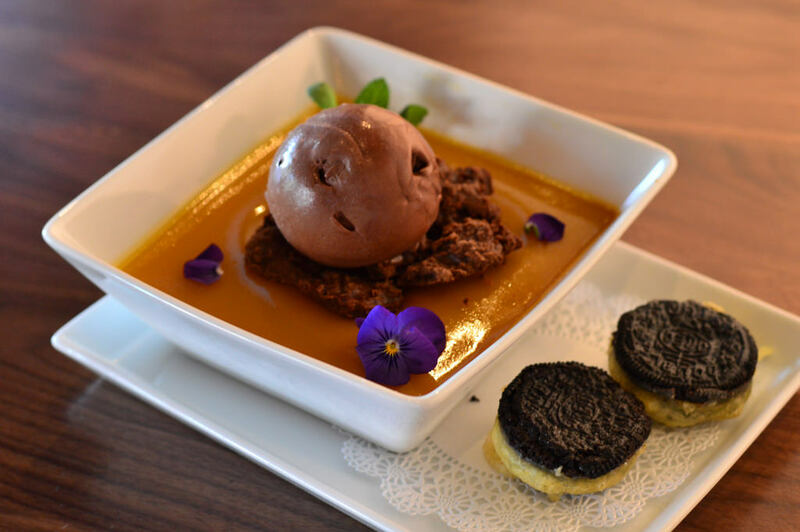 For dessert you have to try the Chocolate Cream & Crunch which offers, among other items, oreo tempura (an item which is somehow even better than it sounds). 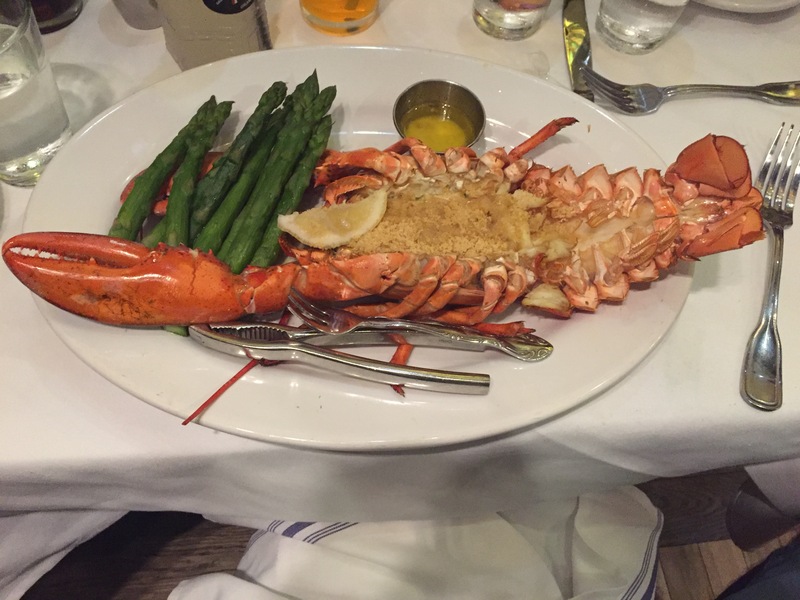 A stunning restaurant and a top notch menu, everything you could ask for the perfect “date night” experience. 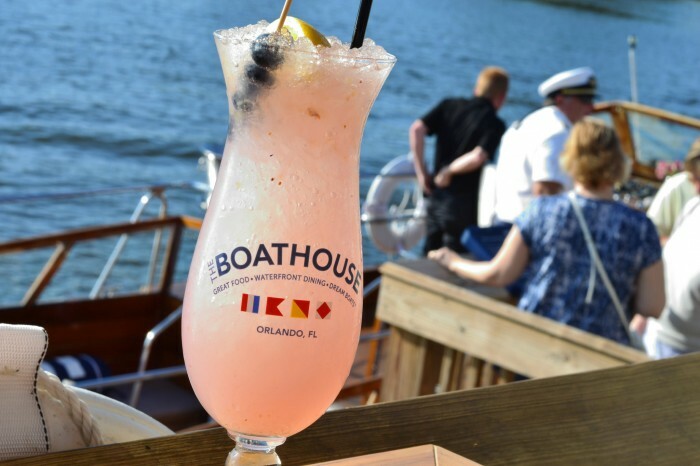 The BOATHOUSE was one of the first new offerings of the Disney Springs as we know it, and it continues to be one of the best. 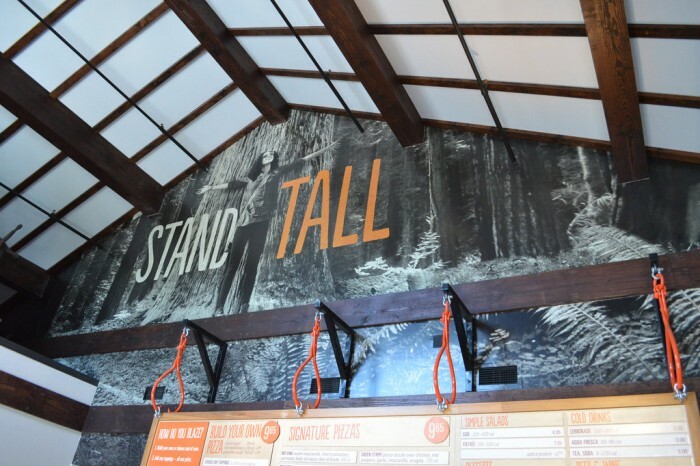 In some ways it is like a T-Rex Cafe for adults, which makes sense as both restaurants were created by Steve Schussler (who is also behind the Rainforest Cafe and Universal’s Hot Dog Hall of Fame). 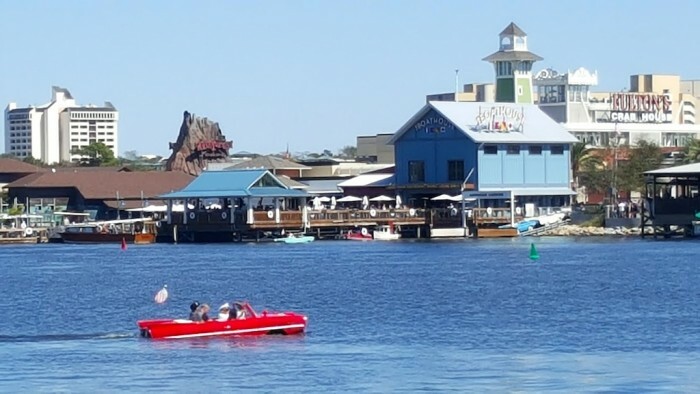 Before even getting to the restaurant, you’ll notice the Amphicars outside. A crowd will build when one is about to drive into the water, and it is certainly fun to watch, especially for kids. 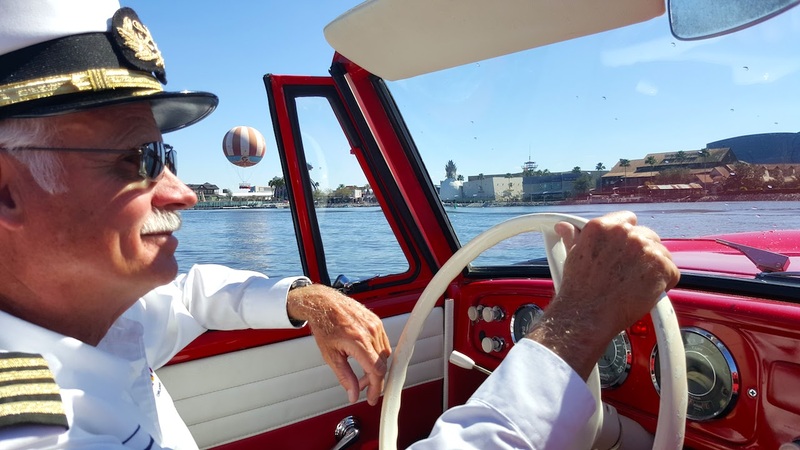 That is one aspect that separates BOATHOUSE from Morimoto, as both are high end eateries, but BOATHOUSE is also super kid-friendly, even serving their meals in a cardboard Amphicar. The inside is beautifully decorated with nautical theming throughout, but the outside dining area also allows you to see the incredible collection of unique boats sitting waterside. Several of these boats can also be rented for an experience out on the water. The menu is seafood heavy, with an amazing assortment of fresh oysters and shrimp, but you’ll also find some of the best burgers on property. 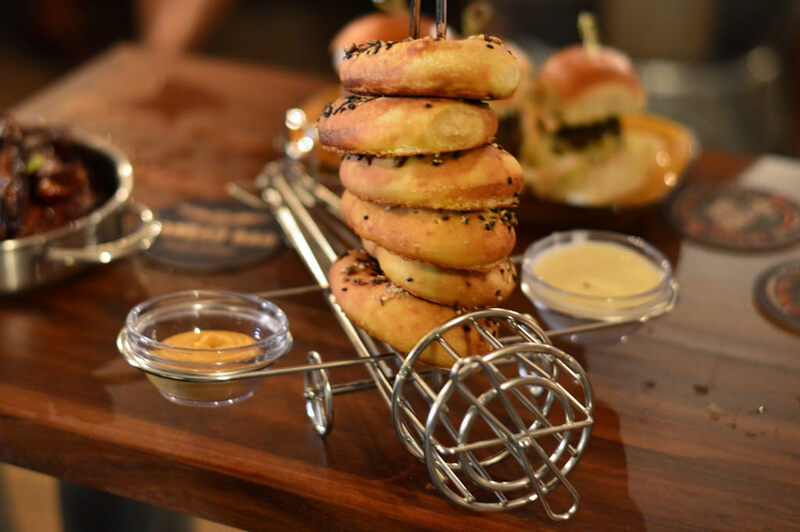 As we mentioned in our Toothsome Chocolate Emporium review, we place a high emphasis on bread service at a restaurant, and the dinner rolls offered at BOATHOUSE are so good that you have to force yourself to not fill up on them ahead of the meal. You’ll also want to save room at the end, as the restaurant has a true E-Ticket dessert with the Gibsons S’mores Baked Alaska. 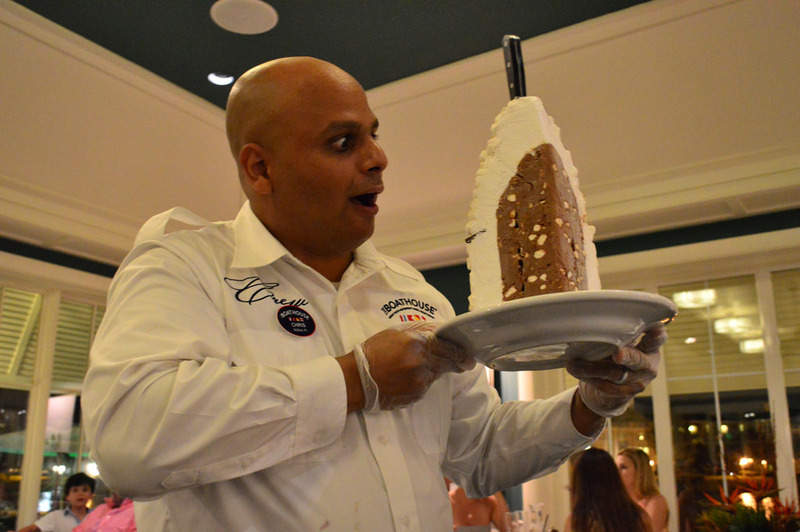 If you’ve ever been to Beaches & Cream at Disney’s Beach Club Resort and seen someone order the Kitchen Sink, the Baked Alaska has that same “wow factor” that draws attention from diners around you. Bonus points are awarded because, unlike the Kitchen Sink that becomes near inedible once all the ingredients melt into each other, the Baked Alaska is a culinary delight from beginning to end. 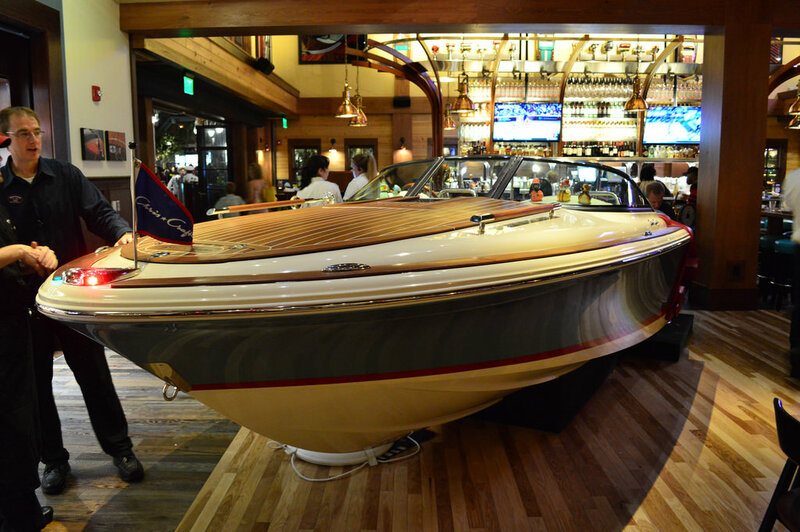 The BOATHOUSE is a homerun in every aspect. The theming and menu are phenomenal, and the overall experience can be enjoyed thoroughly by the whole family. The Amphicars, along with what is almost a “boat museum,” takes the restaurant to a whole new level, and one that will bring you back again and again. When I travel out of the country, I like to search for restaurants where the locals go. When in Orlando, you should look for the restaurants that the bloggers repeatedly go to, as that is your tell tale sign of a restaurant that features the best menu at the best price point. The BOATHOUSE is certified Blogger Fresh™. The famous (infamous?) 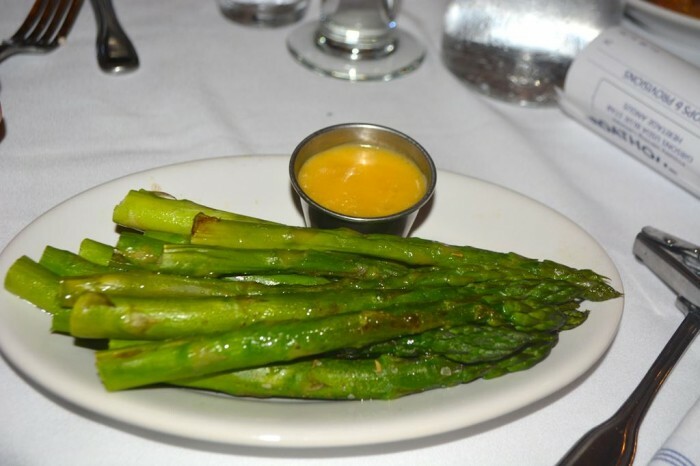 asparagus side at BOATHOUSE. 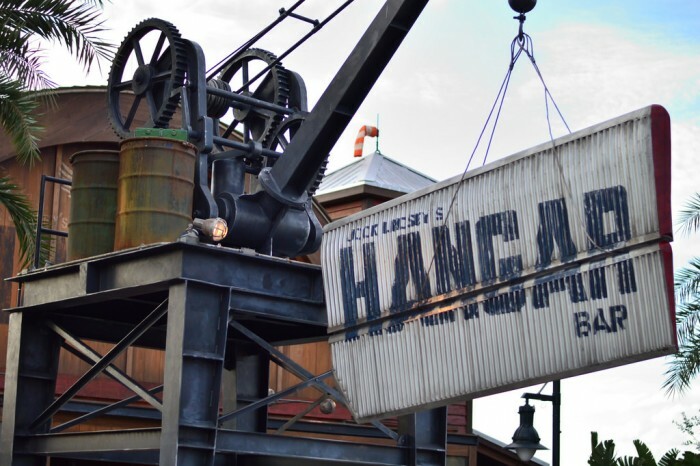 When Jock Lindsey’s Hangar Bar was originally announced earlier this year, we were more than a bit concerned. 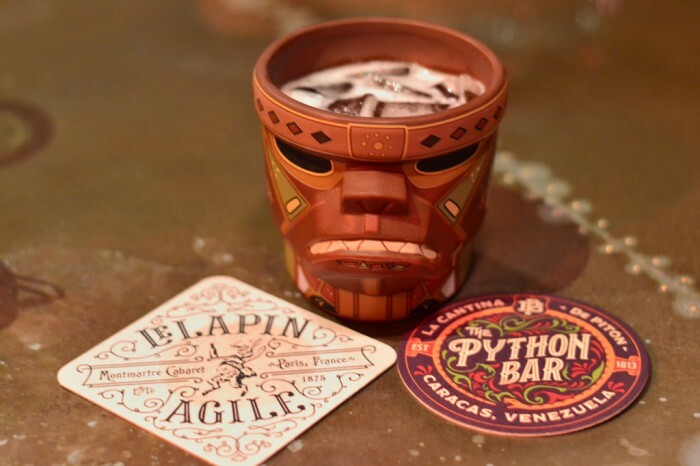 We love Indiana Jones, but an Indiana Jones themed bar based around a character even we didn’t remember from the movies? For those who don’t remember (AKA normal human beings) Jock Lindsey was the pilot who flew Indy out of Peru at the very beginning of Raiders of the Lost Ark, and was never seen or mentioned again over the course of four movies. Imagine if New Fantasyland didn’t have Gaston’s Tavern, but instead a bar themed after Monseiur D’Arque, the character Gaston pays to take Belle’s father to an insane asylum. 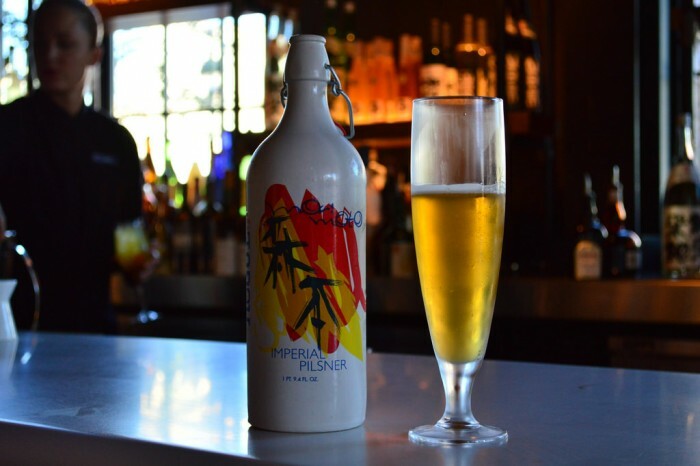 We breathed a sigh of relief when the Hangar Bar officially opened, and it turned out to be great. A highly themed experience that can be enjoyed whether you are an Indiana Jones fan or not (but tons of great details if you are). Our trepidation about the pun-filled menu was also put to rest when the food and drinks turned out to be at a higher level than Trader Sam’s Grog Grotto, one of our favorite lounges at The World. 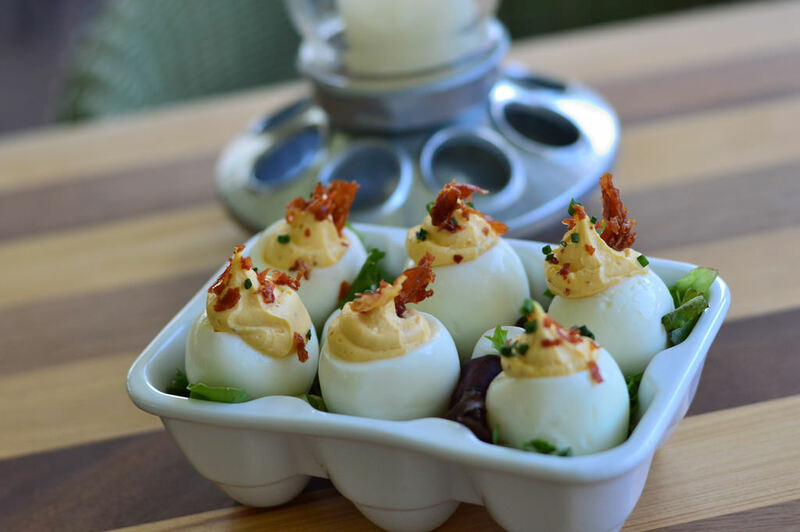 There are so many food items, that we are going to include it on our restaurant list because you could have a decent dining experience at Jocks (which you couldn’t at place like Trader Sam’s or Miznes). Our menu recommendations: For food try the Air Pirate’s Pretzels (served on a fun plane display) and Rolling Boulders Sliders. For reasons known only to Disney, the Good Dates dish (and what a great name that was) has been taken off the menu. Go figure, the one food that actually had a tie-in to the movie franchise. For drinks you can’t go wrong with The Scottish Professor, the Bitter Barkeep, or the Aviator’s Scotch Flight. 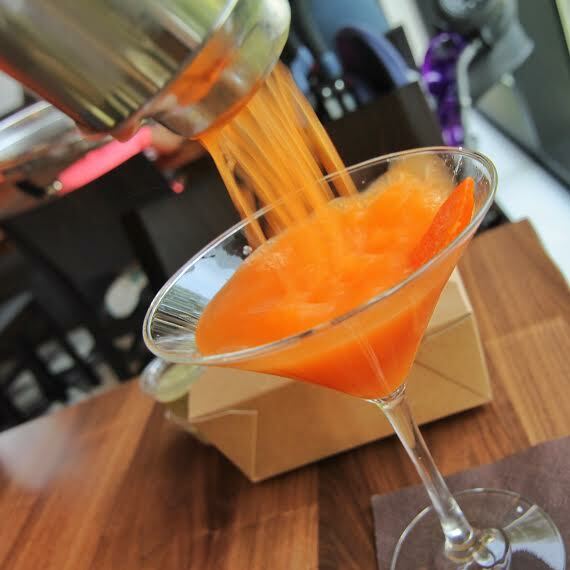 A “Lucy” at Frontera Cocina, featuring fresh carrot juice, orange liqueur, ginger cordial, fresh lime, and candied mango. Special Thanks to crack staff photographer Brandon Glover, the phantom foodie Tessa Koten, and blogger to the stars Megan Stump for their invaluable assistance with this article. Be sure to also check out Brandon on The Park Blogger podcast with co-host Aengus Mackenzie along with Meg’s Yeti To Be Named Disney Podcast. BONUS PLUG! I know what you’re thinking. “Derek, you’re articles have turned many to alcohol in order to cope, but where can I read about the best bars at Walt Disney World and Universal?” Great question. And I have three AWESOME suggestions. The first is from TouringPlan’s own Brian McNichols with the handy Walt Disney World bars and lounges eGuide. Filled with great photos, this eGuide is an indispensable tool on your next WDW bar crawl. Next up we have the brand new DRINKING AT DISNEY book by DrunkAtDisney and his better half Rhiannon that clocks in at a whopping 330 pages. That’s what we in the industry call a tome. Lately is The Unofficial Guide to Universal by Seth Kubersky that not only has fantastic details on all the bars at UOR, but an EXCLUSIVE SATURDAY SIX written by yours truly. To quote the band N*SYNC, BUY BUY BUY! 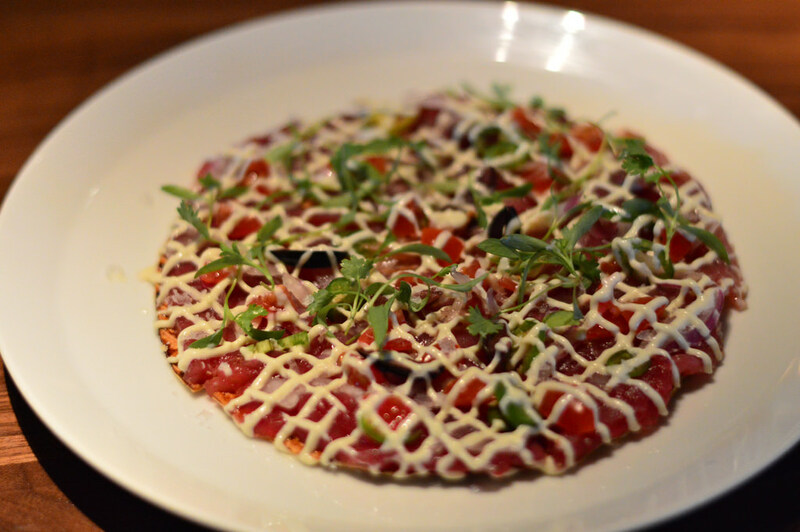 STK has some really good food, but – for me at least, along with many people I’ve talked to who have gone – the experience is one that makes it challenging to go back. Because of the amount of people, eating out in Disney Springs just about anywhere is pretty loud but STK takes it up a notch. I personally don’t think that’s the best way to have a great meal with friends and family on a Disney vacation. 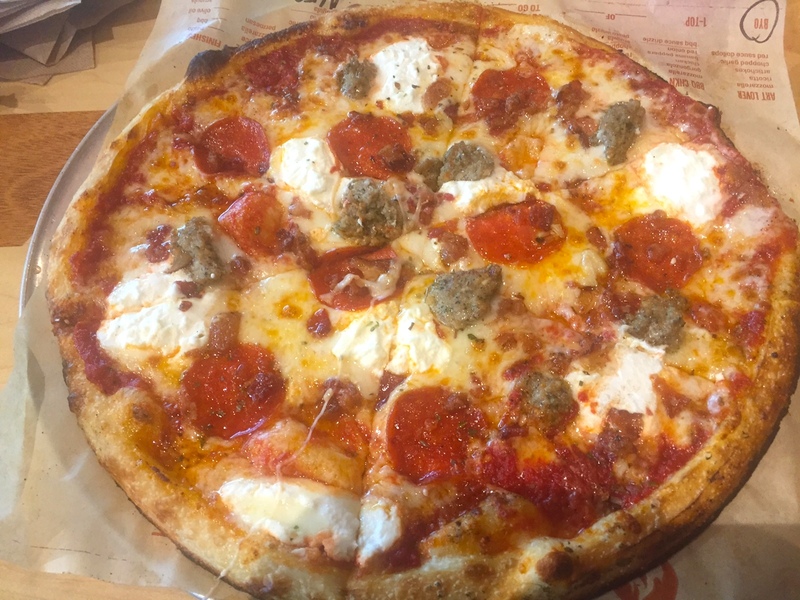 We have Blaze Pizza locally, and I wouldn’t go out of my way to go there, but it’s not bad. Give me Earl of Sandwich any day! All fine restaurants if you can’t get into any of the better restaurants at CityWalk. BAM! 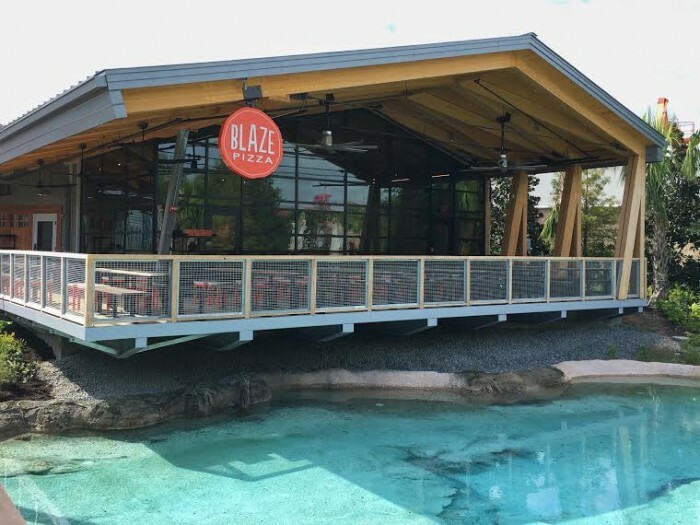 The past two years have brought us a lineup of restaurants at both Disney Springs and CityWalk that is second to none. Never would have saw this coming. Now if only we can bring the shopping part of CityWalk up. 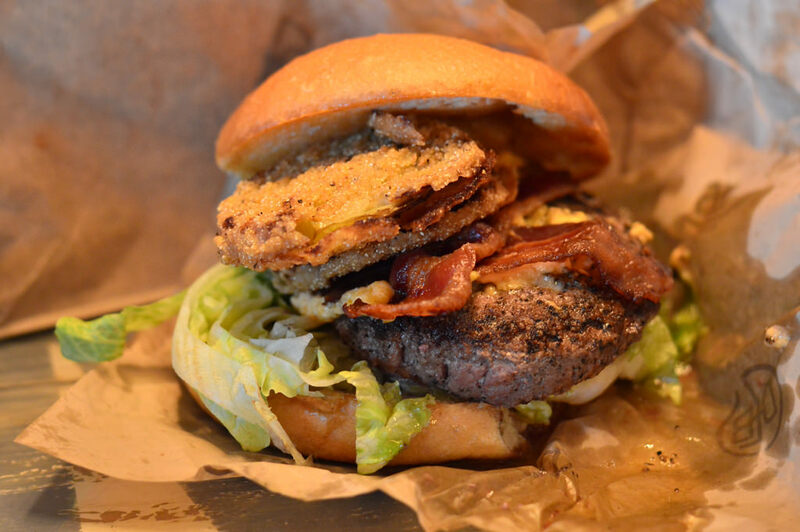 Fried green tomato and pimento cheese on a burger? Sign me up. Good catch Ashley. I identified it as a “Barbecue Classic Burger” which doesn’t exist. Must have had barbecue on my mind. While Changing that also threw in a pic which shows the fun way they box each burger as well. 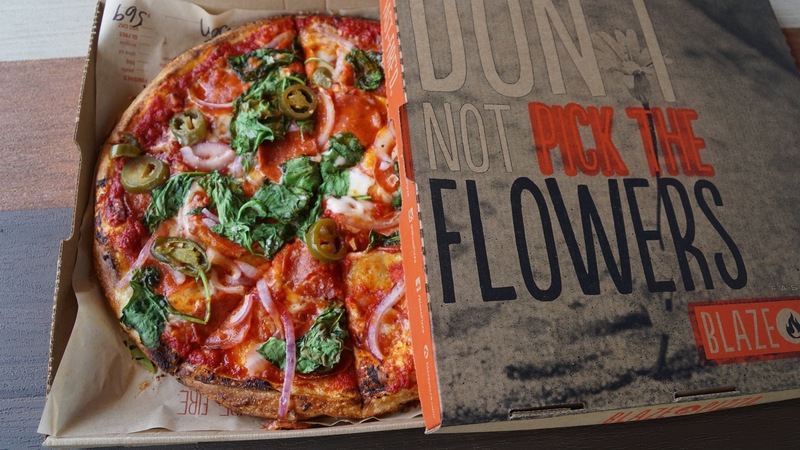 Blaze Pizza is a chain, so it’s been around longer than Red Oven has existed. So, to call it the love child of Chipotle and it seemed odd to me. Maybe Red Oven would be Blaze’s step-mom who their Chipotle daddy married, even though the step-kid is older than the step-parent. I was surprised Homecoming and Morimoto were so high. I have read rave reviews on Blaze. I’ve read rave reviews on D-Luxe. Reviews on Morimoto are less generous. And, Homecoming reviews have been mixed, due to the outrageous pricing of it. Looking forward to trying a couple of these places. Wow, I have not heard the complaint of Homecoming having “outrageous pricing” before. Tessa Koten’s TP review was titled “Delectable Southern Fare at a Fair Price” and I think I would agree to that. I won’t say that meals at Homecoming are “cheap” by any means, but in the scale of Disney dining in general, and Disney Springs specifically, I find the prices for the most part reasonable for the quality and amount of food you get. 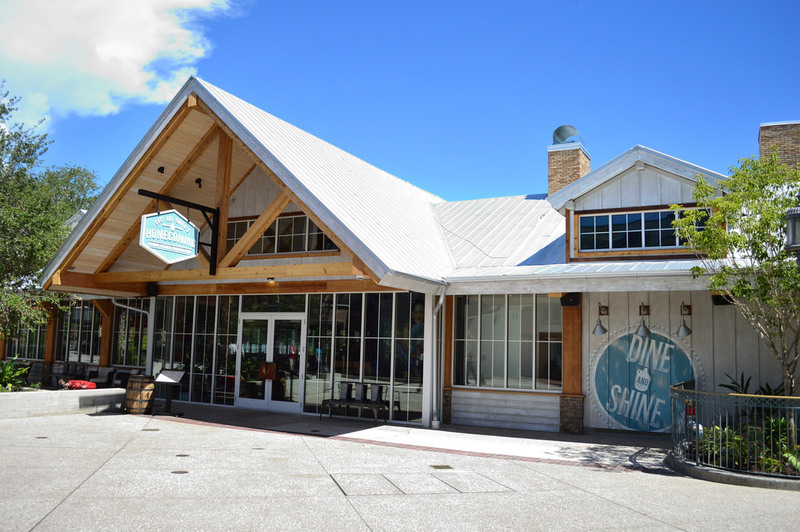 I was just in Disney Springs a week ago and snapped many similar pix of these fine eateries. 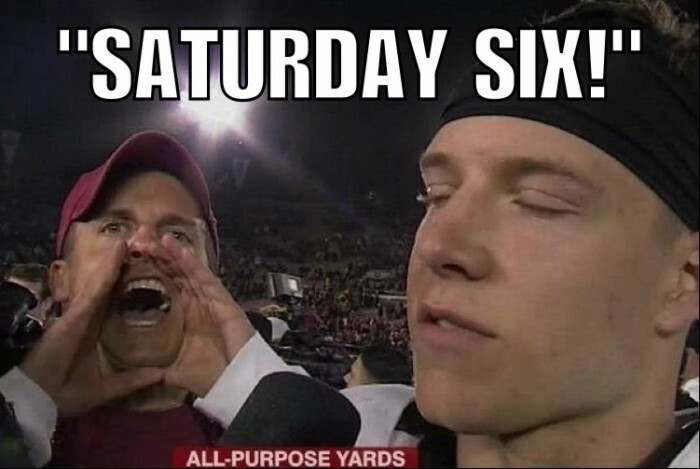 Some day soon, I know I will be invited to submit a picture for possible inclusion in the unrivaled super blog known as SATURDAY SIX. Only then will my life be complete. The SATURDAY SIX photo squad of Glover (team Captain), Carey, Elvey, and Sperduto is a tough one to top. Oh my gosh all of these places look amazing! Especially the pizza place! I want your job. How wonderful to be able to frequent these amazing eateries in the name of “research.” I’m sure you eat some uninspiring fare in the process, but those pictures make it clear there are real perks. I’m hitting two of these 6 this week! 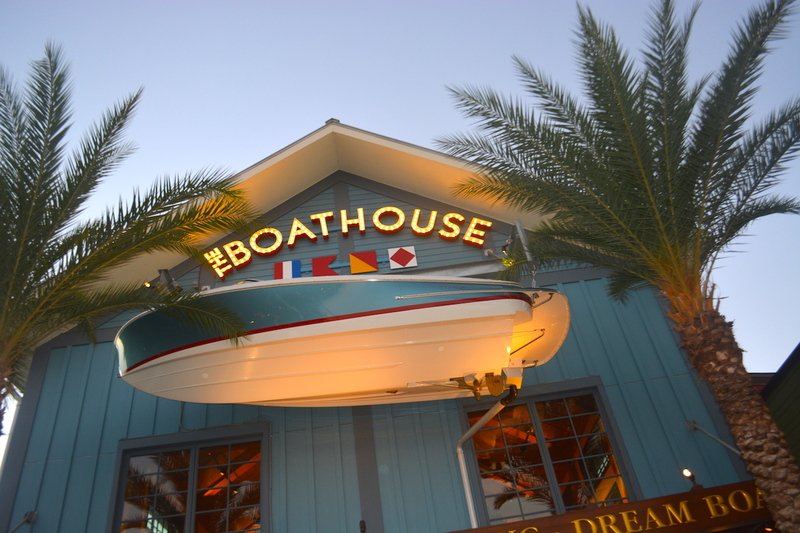 Deluxe and the Boathouse! Can you get the baked Alaska as a dessert with 4 deluxe dining credits? OMG, a Change Bank reference! That’s a blast from the past. Love it.